Shoppers at Sydney’s iconic Queen Victoria Building are enjoying an elevated retail experience in new lifts built using Arrow Metal brass wire mesh. The new lift cages, created by client Active Metal and BRC Lift Interiors, needed to be faithful to the heritage-listed building’s elaborate Victorian Romanesque architecture. The use of brass wire mesh offered the perfect solution, as one of the hottest modern interior design trends revived from the Victorian era. The lifts feature two types of Arrow Metal brass wire mesh products. Active Metal used profile WOB-9516 to build the lift cage, whilst BRC Lift Interiors created the internal fit-out of the carriage using WOB-9516D double wire mesh profile. Both varieties of brass wire mesh are an in-stock, ready-to-ship product at Arrow Metal, which ensured the mesh could be delivered without delay to our customers for timely project completion. 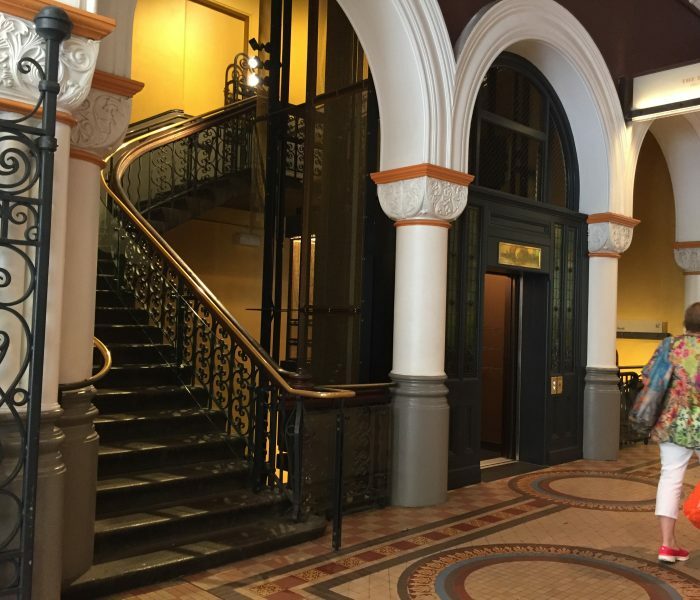 The replacement of the lifts is part of the $48m restoration and refurbishment of the QVB. Originally opened in 1898, the new elevators are a key part of the building’s new ‘vertical transportation scheme’, designed to improve access to the upper floors. The restoration of the QVB took six years of planning, resulting in an upgrade that combines the building’s original architectural design with the modern facilities expected from a world-class shopping destination. 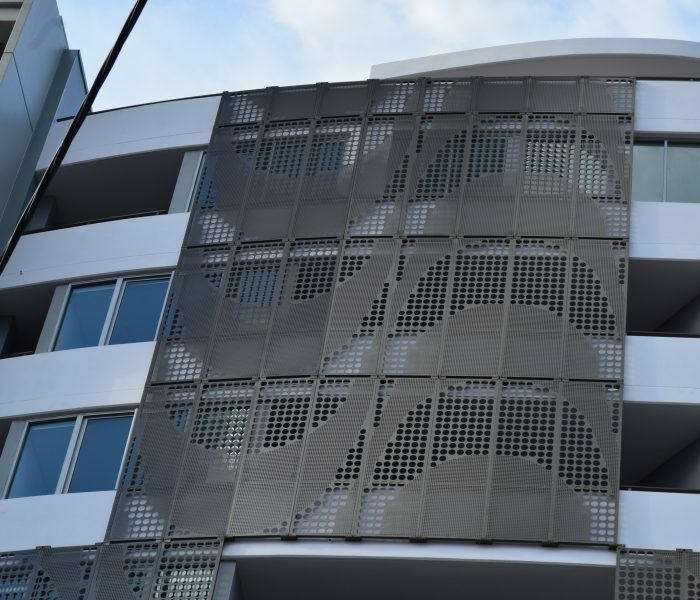 Sydney architects Anchor, Mortlock and Woolley were tasked with bringing the historic building back to life and reviving its historical elements, working with a team that included heritage consultant Graham Brooks. 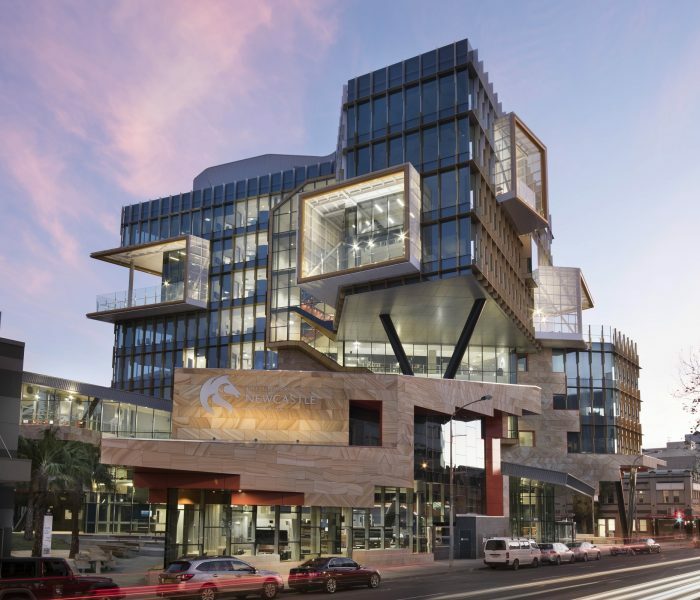 The project was overseen by Coffey Projects, with Built responsible for the renovation works. The QVB remained open throughout the substantial renovation, which is a joint initiative between the City of Sydney, Heritage Council and IPOH. Upgrades included new signage, shop fronts, landings, escalators, carpets and painting with a Victorian-inspired colour palette.